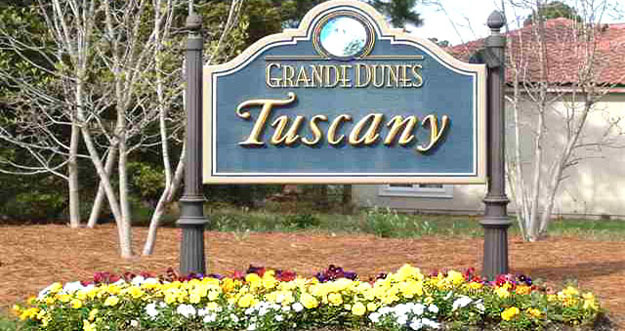 If you are a king or queen in search of your palace, you need look no further than the extraordinary homes in Tuscany Village at Grande Dunes. 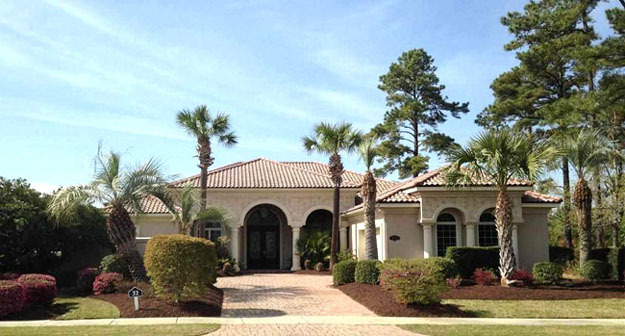 As with all Grande Dunes communities, luxury defines this neighborhood which opened in 2006-2007. Read more about Tuscany Village real estate. The Mediterranean-style homes are showplaces. Designer kitchens with top of the line appliances and formal dining rooms are ideal for showing off your culinary skills at dinner parties. Spacious master suites with walk-in closets and marble tiled bathrooms, glass showers, and granite countertops offer a relaxing retreat at the end of the day. Private pools, hot tubs, and outdoor cooking facilities and fireplaces provide the perfect setting to share a glass of wine with friends under the stars. Some homes also offer golf course views or nearby ponds. Available lots sell for around $200,000. Home prices start at about $600,000. Larger estates with mother-in-law suites and amazing outdoor entertainment areas such as large covered lanais sell for over $1 million. 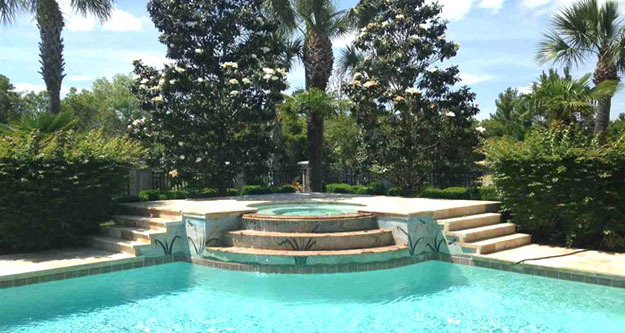 HOA fees cover amenities and upkeep of the beautiful common area. All Grande Dunes residents enjoy membership to the Grande Dunes Ocean Club, oceanfront pools, private beach access, and fine dining facilities. You'll find a lounge and grill, as well as the famous Ruth Chris Steakhouse nearby. Residents also have the choice of a number of memberships to golf clubs, tennis courts, fitness club, private marina, and much more. You can tailor your memberships to fit your lifestyle. To learn more, call our Grande Dunes real estate expert, Greg Harrelson, at (843) 536-8383 today and schedule a tour of the homes for sale in Tuscany Village at Grande Dunes.